Mildred Orrick was born Mildred Boykin in West Virigina in 1906. Her father Richard was a preacher, and the family moved across the South from Virginia to Georgia to Texas and back to Virginia by the early 1920s. When she was just 17 her sister Martha died, followed by her father less than two years later, while she was studying at the New York School of Fine and Applied Art (now known as Parsons The New School for Design). 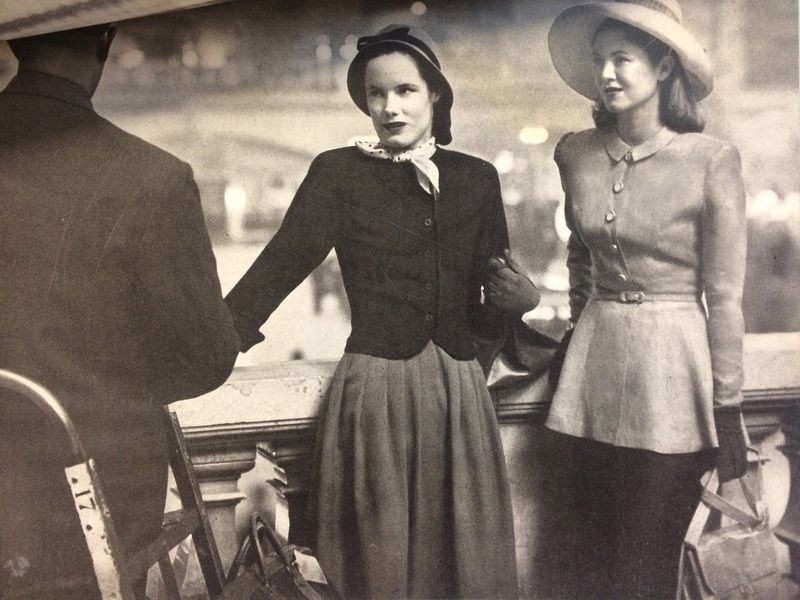 It was there she met Claire McCardell and Joset Walker (then Josette Leguoy), and they became professional and personal allies for the rest of their lives. Here, Mildred and Claire travel back to New York from their time studying Paris in 1927, before their graduation in 1928. 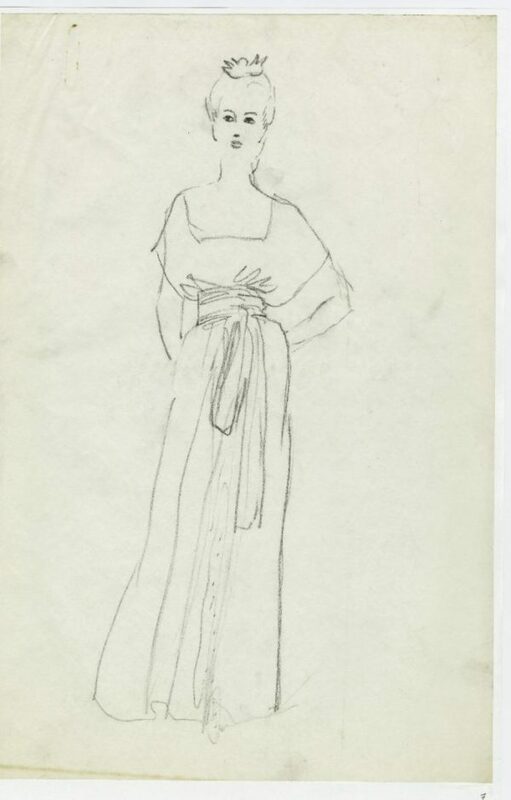 Though McCardell would later eschew taking influence from Paris, during their time there in the 1920s they loved studying the hand-me-downs from wealthy French women, including garments from Poiret and Vionnet, who would become a major influence on McCardell’s work. After they graduated from Parsons in 1928, Claire McCardell and Mildred Orrick lived with Mildred’s mother Ange in New York as they looked for design work. 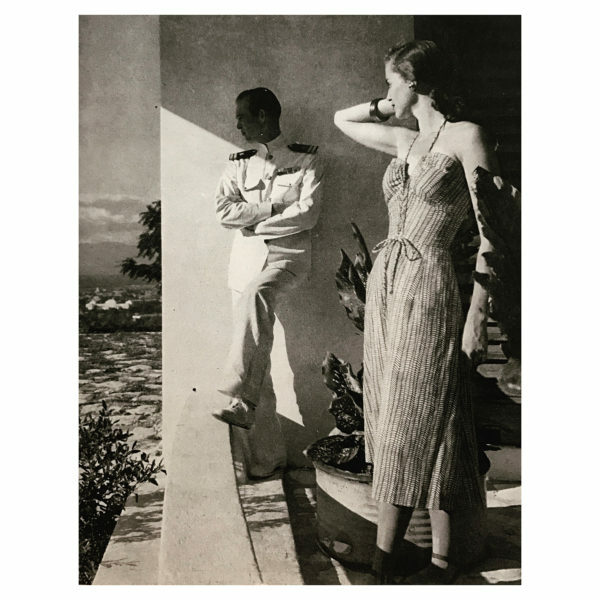 They both found some work in illustration and sketching, and in 1930 Mildred married architect Jesse Orrick. 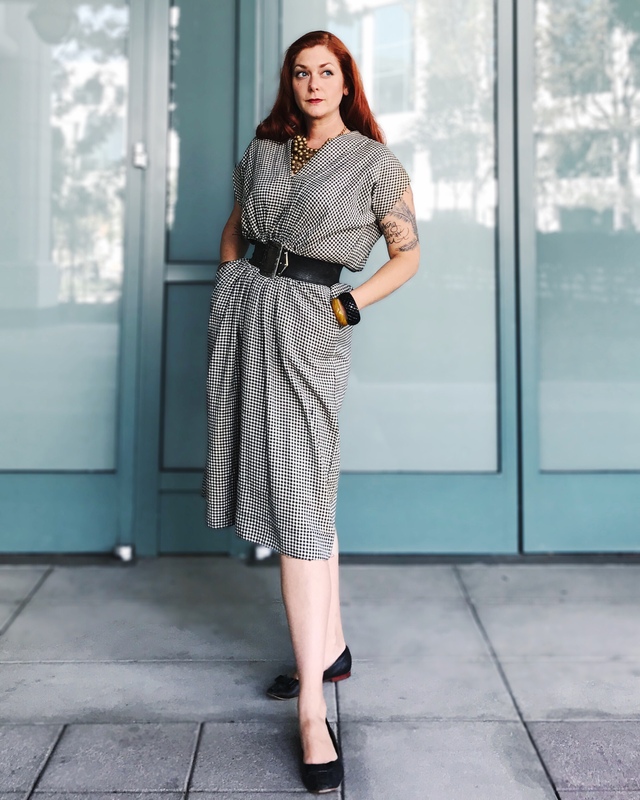 One of her first jobs was sketching for designer Natasha Rambova, who referred her to theater producer Norman Bel Geddes, for whom she did some costumes for the stage, as well as the tiny people in his Futurama exhibit at the 1939 World’s Fair. 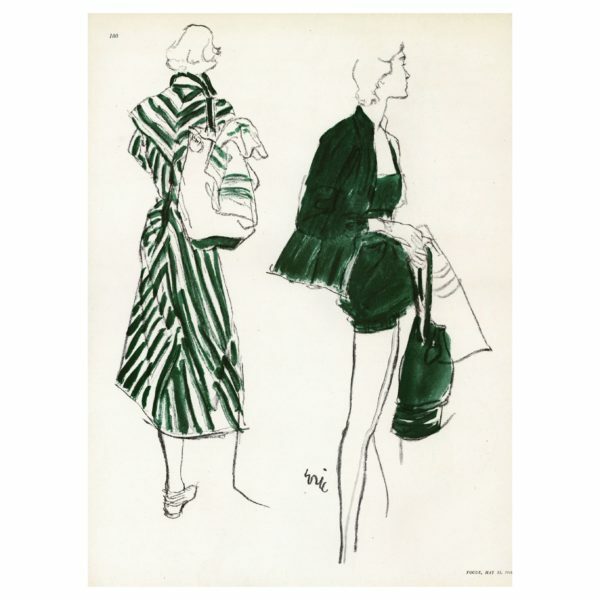 Around 1944, their friend Joset Walker hired Orrick as a fashion sketcher with David Goodstein, essentially beginning her career in ready-to-wear fashion. An early sketch by Mildred Orrick, ca. 1937-1941. Around 1946, Orrick started designing for Janice Milan, where she stayed until about 1954. During these years her work exhibits a feminine quality, more so into the 1950s. Her work is acutely aware of the female shape, working to accentuate a waistline using scale, symmetry or well-placed lines. 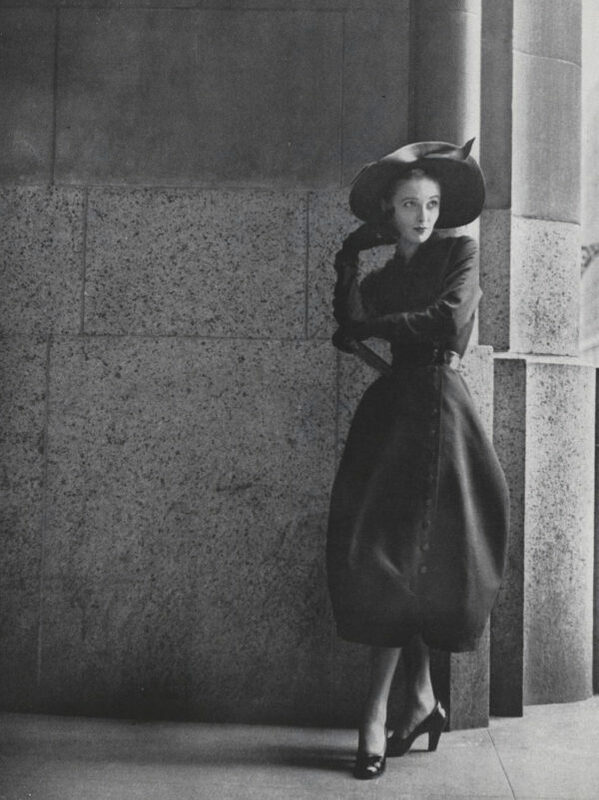 She became most well known for inventive resort wear, cotton dresses, and inventive evening wear and separates. “The way to dress for work or travel is the way you’d dress for town—no special uniform needed. Travel light, left, in a jacket, $21 (including shorts), and skirt, $19 (including a bra top), by Mildred Orrick in butcher-weave spun rayon. Bergdorf’s. Betmar hat. 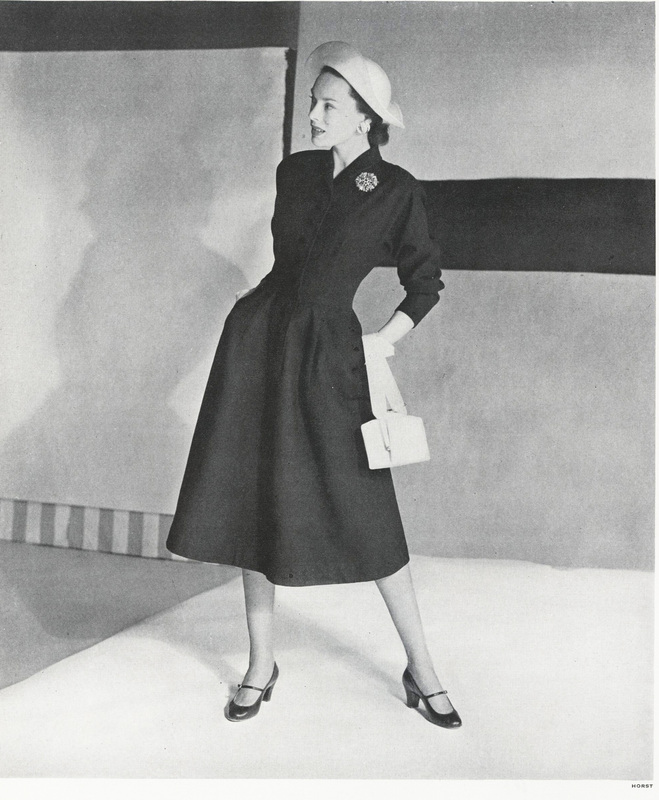 Or in Ceil Chapman’s Tebilized Irish linen suit, $39.95 Cosmetic bag, $22.50, Bendel.” Photo by Herman Landshoff for Mademoiselle, June 1946. “Wrapped Empire line; new summer evening look. Mildred Orrick design in rayon jersey. 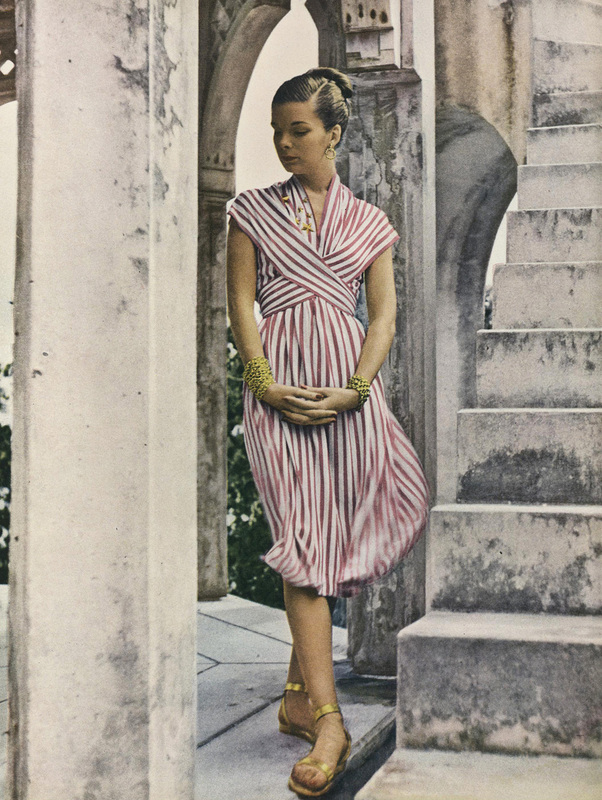 About $30.” Photo by Serge Balkin for Vogue, June 1, 1946. “The place: The terrace of the Hotel Citadelle, Port-au-Prince, in full view of the city and the bay; of the gleaming white three-domed Presidential Palace, the grandeur of the Basilisque of Notre Dame, the vivid bougainvillea clambering over old stone walls, the tall masted sails of the fishing schooners. 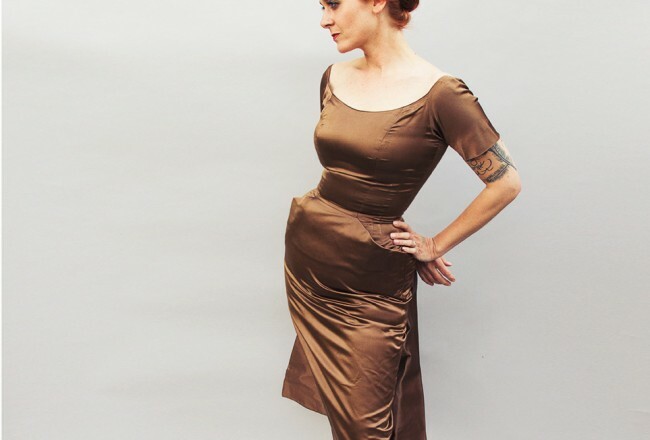 The dress: Bare and beautiful, it’s cut to the bone and molded to your body; the drawstring halter is adjustable. By Mildred Orrick, in Everfast bamboo print piqué; red-white, green-white, brown-white. 10-16, under $20.” Photo by Hal Reiff for Charm, September 1947. City-day black: good buy in piqué, to wear all summer, to sharpen with white. The dress is almost a coat, has the good street-coverage of a coat. Your white could be a calf bag, golden-framed; a straw hat, shaped like a Harlequin’s. 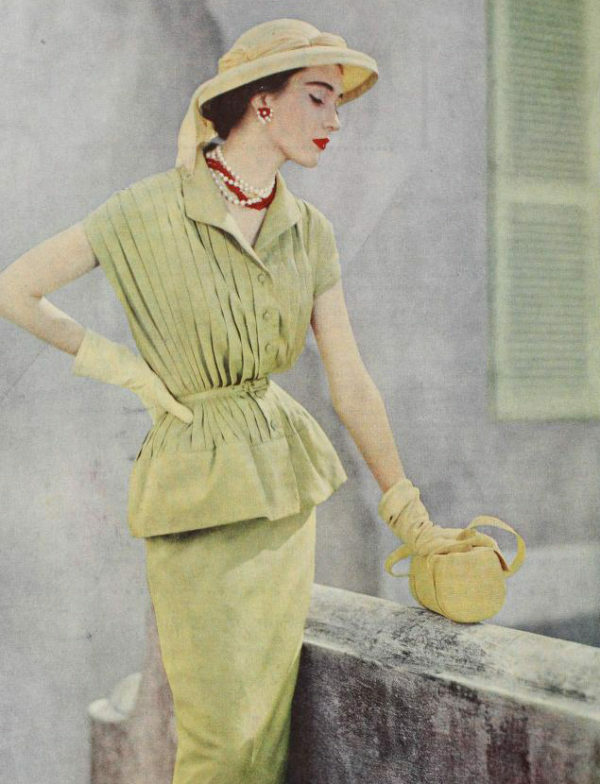 The dress, a Mildred Orrick design in Soap ’n’ Water waffle piqué, $40; the bag by Bienen-Davis, $29 plus tax; the hat, to order; all at Bergdorf Goodman.” Photo by Horst P. Horst for Vogue, April 15, 1947. “Green, strong turf green, is forever the colour of summer, of freshness and renewal. Today, green is a colour of fashion. Wear a whole program of greens, from town to lawn to sand. Take strong green as a total colour, or flash it against white or beige. Left: Green striped on white; beach coverage in cotton. By Mildred Orrick, $35. Right: Chambray bathing suit and matching jacket. Each, $30. By Brigance.” Illustration by Eric for Vogue, May 15, 1948. “South or summer fashion of pale chartreuse shantung with pleated peplum blouse, by Mildred Orrick. Toyo hat trimmed with a silk scarf, by John Frederics. 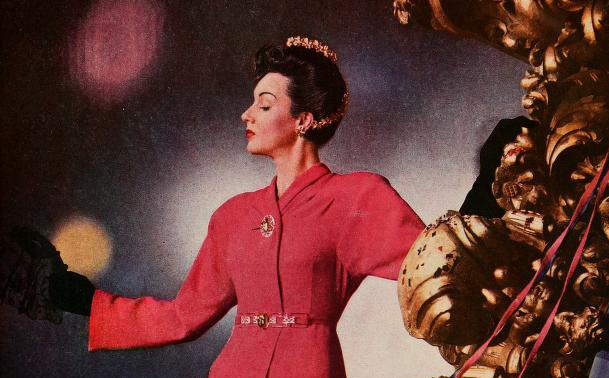 Worn with ropes of beads.” Photo by Wilhela Cushman for Ladies Home Journal, January 1951. In 1955 she began designing for Guild Originals, and in 1957 stepped in at Townley to finish Claire McCardell’s last collections and stayed for a year after McCardell’s death in 1958. From there she worked for various labels including Villager Clothes, and retired in the mid-1970s. She died in Virigina in 1994, leaving behind three children, three grandchildren, and a lot of admirers of her work. “When you choose black—in this year of colour—it will not be for tepid reasons of safety or habit, but as a stand-out, an exclamation point, and as the ‘strongest’ colour you’ll own. A black tulip of a dress of bird’s-eye piqué, patent leather belt, by Mildred Orrick, $40.” Vogue, April15, 1949. 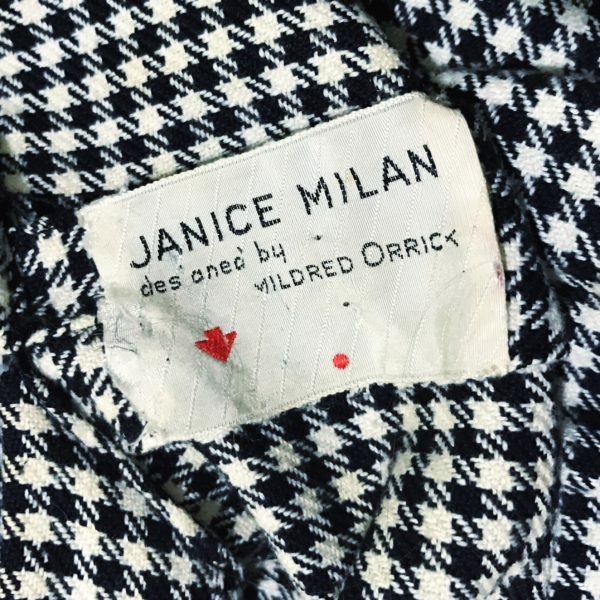 Late 40s dress by Mildred Orrick for Janice Milan.